Nostalgia from the Greek words nostos and algos, return and suffering. Literally, the suffering caused by the yearning to return to one’s place of origin. Of course capitalism has something to do with that, childhoods are easy sells. But the geek childhood we see repackaged more often than most, markets thrive on our nostalgia. I haven’t seen a modern remake of Happy Days or I Love Lucy, but TMNT is on its fifth television incarnation, has had six comic series, and three live-action movies with a fourth just released. (I know I’m leaving some out, but you get the idea) Funimation releases Dragon Ball Z in some new and premium boxed set every, what, three years? And now there is Dragon Ball Kai. So it’s profitable, and I think that’s because we seek it out more than any other sub-culture or age group. A study titled “Nostalgia: Content, Triggers, Functions” published in the Journal of Personality and Social Psychology (91, 975-993) suggests that nostalgia is often onset by sad or negative feelings. Additionally, in a majority of those studied nostalgia acted as a cure or relief from those feelings. My theory is that because many of us grew up isolated from our peers and were shunned for our interests. The games and media we participated in brought us solace and a sense of community with other like-minded individuals. If those activities helped us cope with the hardships of growing up as outsiders, or with the difficulties of growing up in general, then it would make sense that we would draw strength from those memories. But we do more than draw strength, we surround ourselves with it. Sing songs about it, plaster it all over our homes, purchase and repurchase original and reproductions of our childhood loves. We never tire of exploring Hyrule or of throwing a spirit bomb at Frieza. I have found myself more than once watching re-runs of anime I grew up with when I was feeling down. Sometimes I think of it as “anime junk food” but what is actually happening here is that I am seeking relief from feeling depressed or worried. And it is not feelings of exclusion (I have grown up to have many friends in many circles) but the worries of the adult world; jobs, rent, bills, etc. And in those moments I have a sense of comfort brought about by reliving my childhood experiences. Perhaps in a world where we “millenials” are often lost, underemployed, and in debt (read Sarah Kendzior’s great article about this) we seek to comfort ourselves by filling our lives with memories of a life less full of worry. Who needs narcotics and anti-depressants when you have Duo Maxwell? Categories: articles | Tags: fandom, geeky, nostalgia | Permalink. Why Does Fansubbing Continue to Exist? This will be the first in a series of articles exploring the fansub community, for those unfamiliar, please read The Anime News Network’s definition of a fansub. The anime fansub community is something I have been involved with off and on for many years. My participation really only started once anime became readily available online (the early 2000’s), so I was not a part of what I like to call “the first generation” of fansubbers. Those veterans would do everything by hand using VHS recordings, collaborate through the mail, and all gather around static ridden copies of copies of copies to watch their favorite shows once every month or more. These days fansubbers have a much more sophisticated array of tools that allows for high quality and fast turn around time; the question I want to ask is “why.” In light of instant streaming services like Crunchyroll.com and Netflix, that have a comparable turn around times and cheap or free access, why do fansubbers continue working and why are the fans still downloading them? My theory is that fan translators are taking what companies have traditionally placed a monetary value on and turning it into social capital. Additionally, these fans have gone a step further and added both value and content to a product where licencors and media companies have neglected to meet the desires of the fan base. 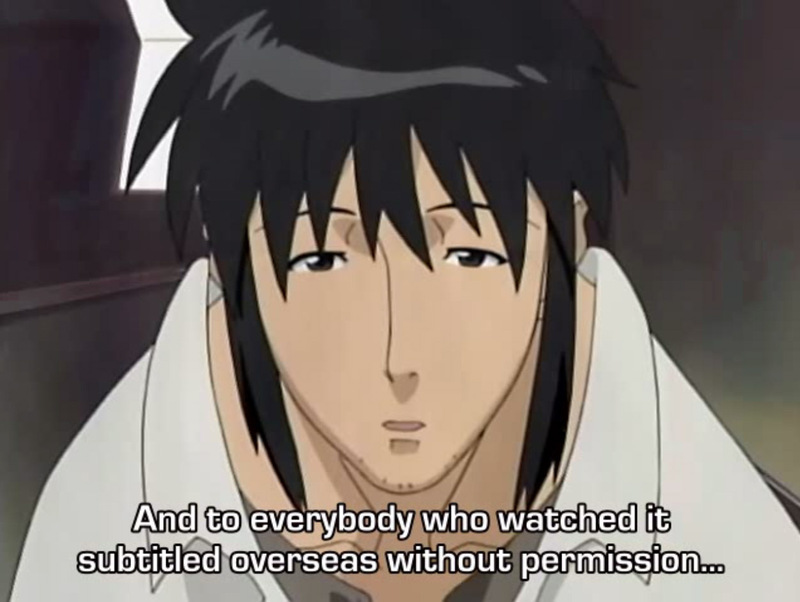 The law is clear between Japan and America; fansubbing is illegal. But both proponents and critics of the practice (within the fan community) have eschewed arguments of law in favor of arguments focused on social and ethical practices. The question is often when and why is it allowable instead of is it legal. Jordan Hatcher, and intellectual property lawyer states in his paper Of Otaku and Fansubs that American licencors of anime are less litigious than most media companies, often sending informal letters to fansub groups or sending representatives to anime conventions to comment on the practice. Fansub groups do not seem to care about money in so far as selling their products; the driving factor seems to be recognition for their hard work by their peers. Peers in this case are not necessarily the fans of anime, but other fansub groups (This can be seen in the contempt many groups show for fans in their FAQs or in their responses to fan criticism). The value here is not economic but social; recognition as experts in their field by others pursuing the same craft. At the same time, this reach for perfection has also subtly redefined what “normal fans” (Those who participate in the culture in different ways other than translation) value in their anime experience. For example, many sub groups go out of their way to explain Japanese cultural nuances that many media companies either ignore, or gloss over by localizing a particular pun or reference, i.e., purposefully mistranslating dialogue in order for jokes and puns to “be more American” (At least in my case). These explanations are commonly known as translator’s notes, and over the years have become a valuable addition for many fans that seek a more authentic and genuine understanding of Japanese culture. As Professor Ian Condry of MIT points out in his book The Soul of Anime, the fansub group AnimeForever went through the trouble to provide extensive translator notes for the 2005 release of Samurai Champloo. They clarified uses of words, explained the hiragana syllabary so that an entire episode would make sense to American audiences, and gave short history lessons that put certain scenes into context. There were four other groups subbing the show at the time and Professor Condry expects they were in competition with each other. And none of this was for money, but social capital; a different value system. 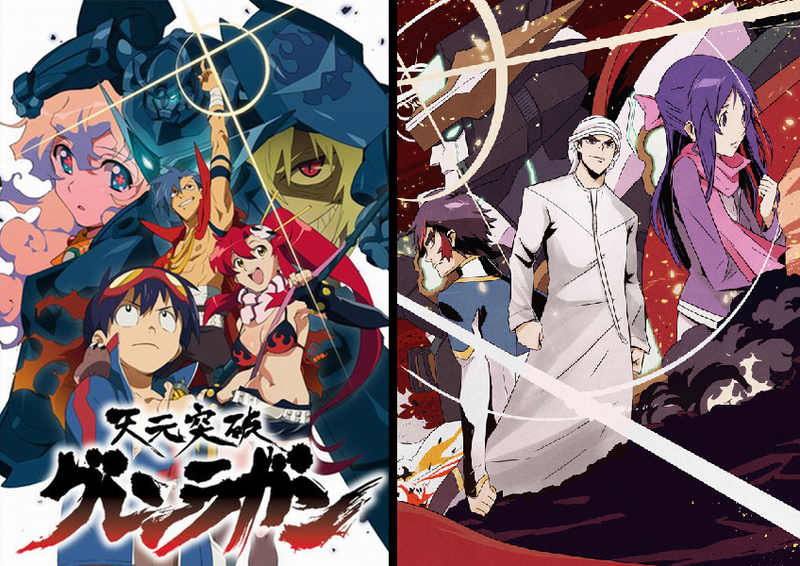 Director Hiroki Hayashi apologies to overseas fans for prematurely ending the series. Even some creators of anime in Japan have recognized and seem to appreciate the trouble fansubbers go through so that overseas audiences may see their creations. 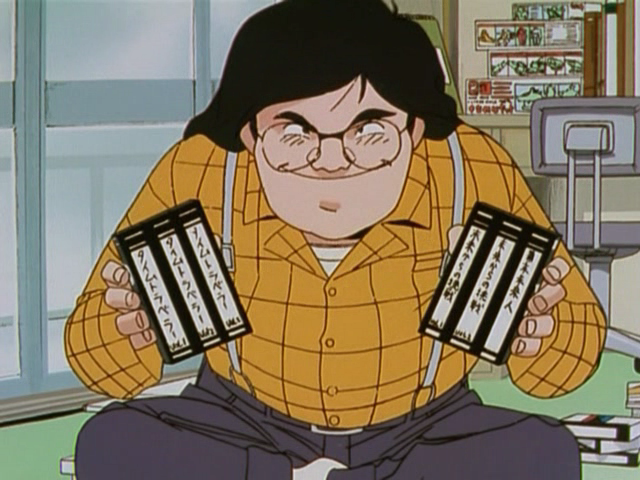 In 2004 director Hiroki Hayashi (surname last) apologized to fans, including those “outside the broadcast area who took special measures…and to everybody that watched it subtitled overseas without permission” for ending the show Battle Programmer Shirase early and not continuing with the second and third seasons. It seems clear that fansubbing is not going away any time soon, and while Netflix and Crunchyroll’s anime selection continues to surge, fan translators have carved a niche for themselves within a niche community. Not only are they not going away, but they have increased their value to a certain segment of the fan population (namely those that seek a more “authentic” Japanese experience). In addition to redefining the value landscape fan translators can bring certain series overseas that would never be released here; whether from red tape, licensing issues, or monetary shortfalls. This in turn leads to an increase in demand that fosters a sense of competition between groups seeking to be the best and have recognition from their (fansubbing) peers. So what do you think, why do fansubs continue to exist? Categories: articles | Tags: anime, fandom, fansubbing | Permalink.